This salad is a twist on the classic tomatoes with basil. The creamy dressing works surprisingly well and gives the salad a cool and luxurious feel. In a mixing bowl, whisk the wine vinegar, water and some salt and pepper. Whisk in the cream, olive oil and sugar ,then stir in the basil. 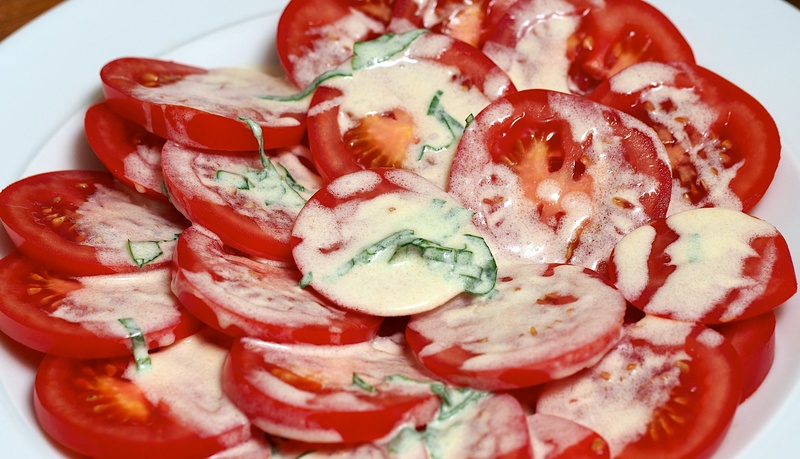 Arrange the tomatoes on a large plate, very lightly season and spoon over the dressing. Serve with an extra drizzle of olive oil.